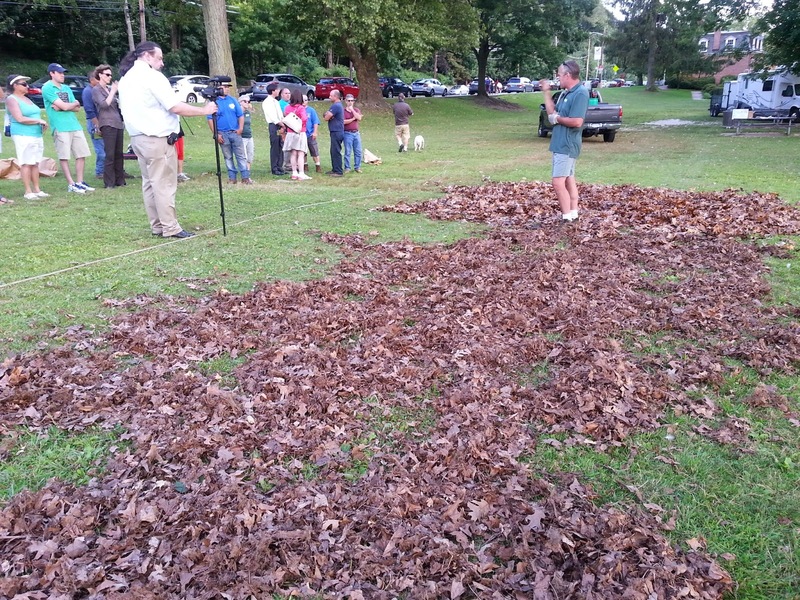 A free demonstration of the latest and greatest in mulch mowing technology was presented on Wed. Aug. 6, 5:30 pm at Huguenot Park in front of the New Rochelle High School on North Avenue in New Rochelle. 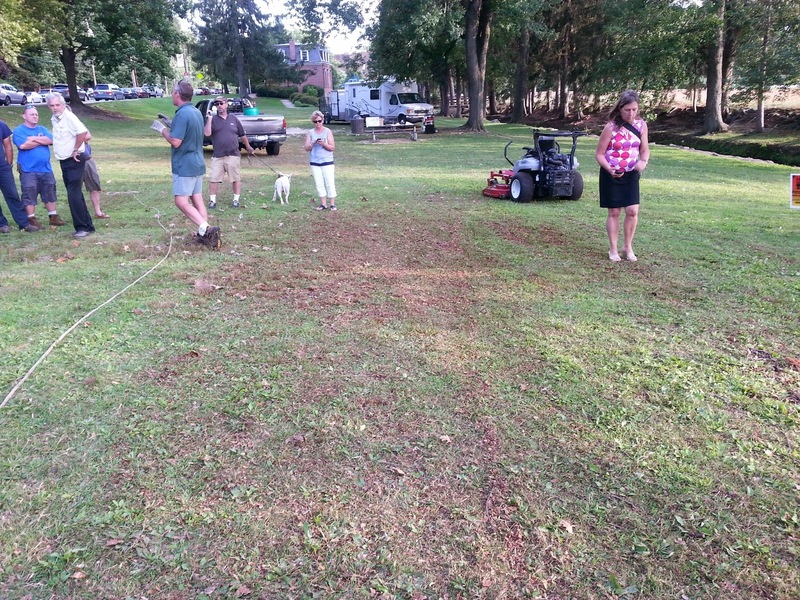 Walter Butler, owner/founder of Innovative Mulching Technologies and Inventor of the Vulcher Safety Mulcher, demonstrated his new, high performance Vulcher 2, which takes mulch mowing to a new level! With cylconic baffles and a red-tipped kicker blade, the Vulcher 2 makes mulching both faster and more effective than ever, cutting grass and leaves into 1/8"- 1/4" pieces. Tim Downey, Aesthetic Landscape Care assisted in the demonstration and answered questions from local landscapers about mulch mowing techniques and strategies. Participating were Michael Iorio, President of the New York State Turf & Landscape Association, and Vice President NYSTLA Joe Wager. 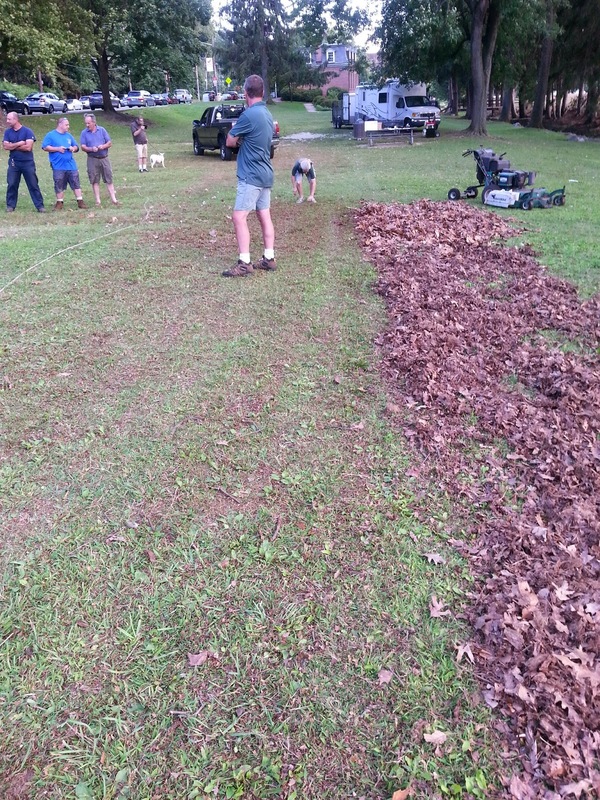 Piles of whole oak leaves were wetted down to simulate the challenging mulching conditions that landscapers often face. Tim answering questions from local landscapers. 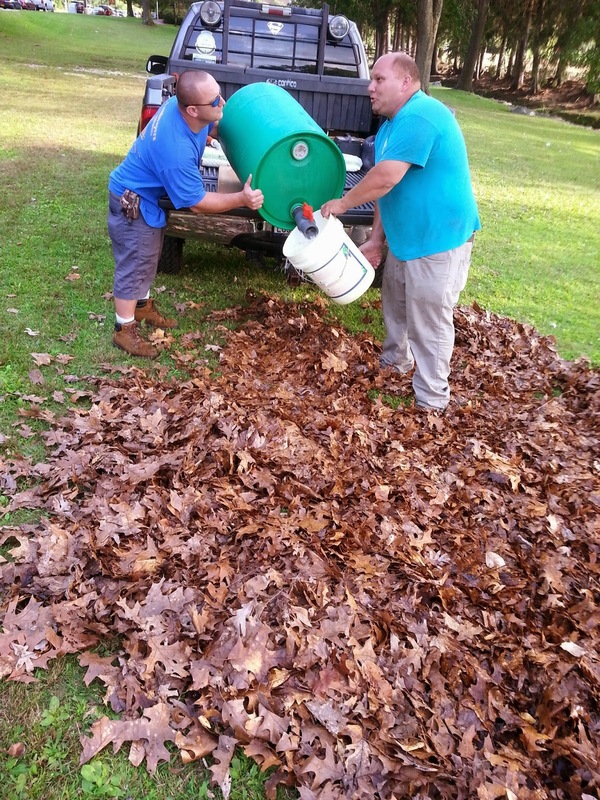 Michael and Joe wetting down the leaves. ON the left, the original Vulcher has been used to mulch mow the wet leaves. Note the cleaner look on the right side of the demonstration area where the Vulcher 2 was used. The City of New Rochelle has contracted the Greenburgh Nature Center to organize 6 free mulch mowing demonstration/trainings for landscapers and property owners to be held in different areas of New Rochelle through the month of September and October.